Horley was a quiet small town about half way between London and Brighton. Things changed when the adjacent Gatwick Racecourse became London's Gatwick Airport. However, much of the old character of Horley remains. 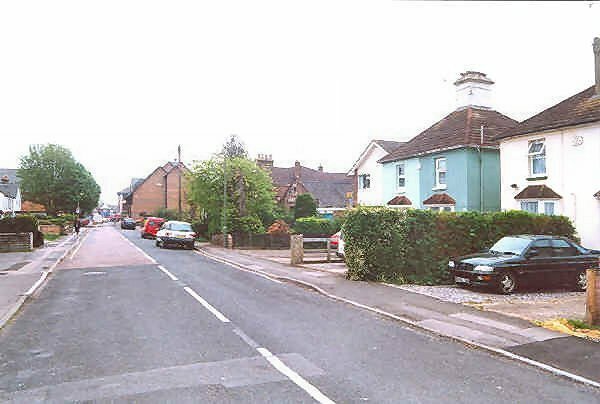 Albert Road in Horley, looking towards the town. Photograph 24th April 2002. 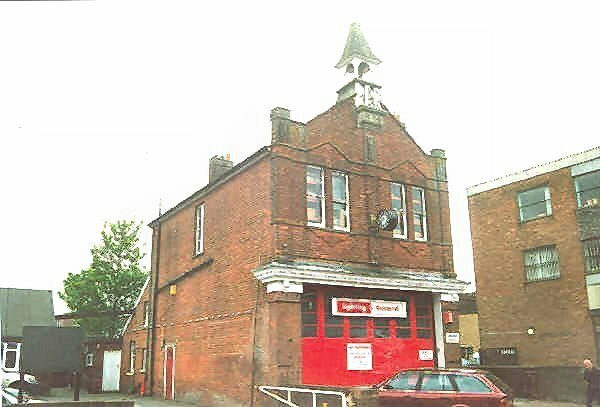 The former Horley fire station in Albert Road. Photograph 24th April 2002. 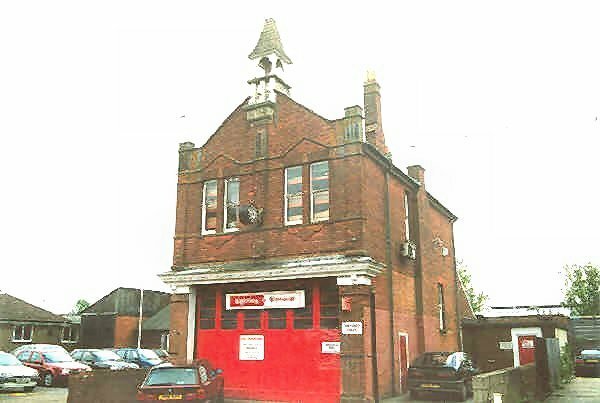 Another view of the former Horley fire station in Albert Road. Photograph 24th April 2002. 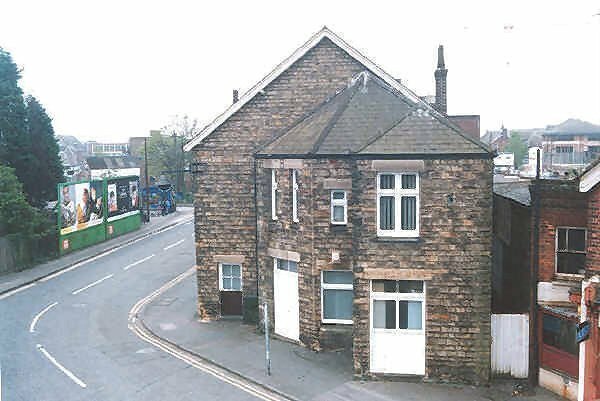 The unusual corner building where the High Street becomes Oakwood Road. Photographed from the footbridge over the adjacent railway, where the former High Street level crossing was located. 2nd September 2007.